We are in the middle of big changes in our country. It’s expected that we will have polarizing viewpoints, strong opinions, and intense feelings. While this is all part of the process, it’s important that we find positive ways to work through and release the stresses that come with strong feelings. 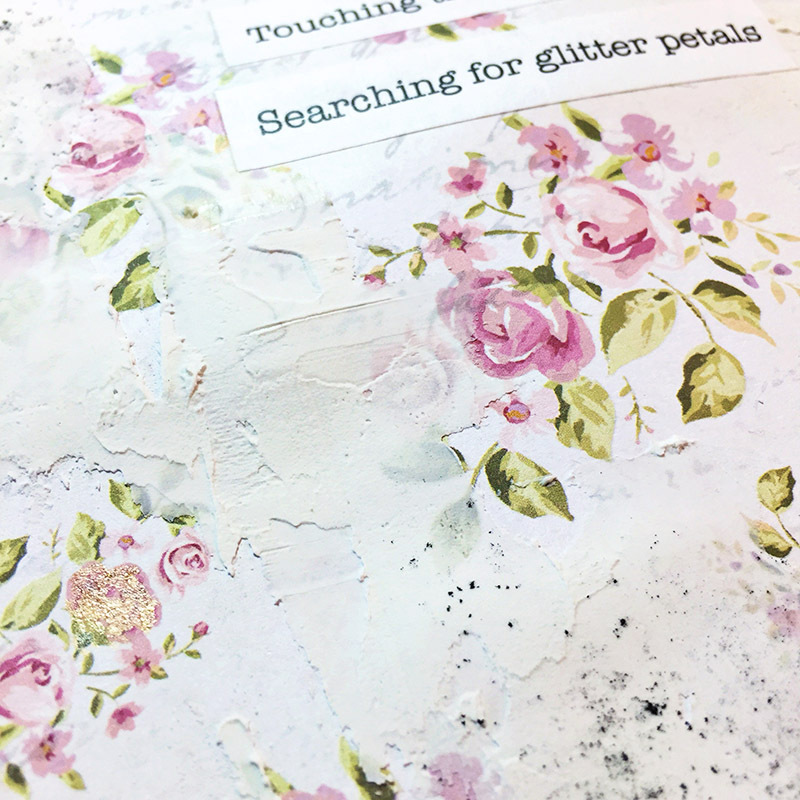 There’s something about starting a new art journal that is so satisfying. I think it’s because it feels like a new beginning. 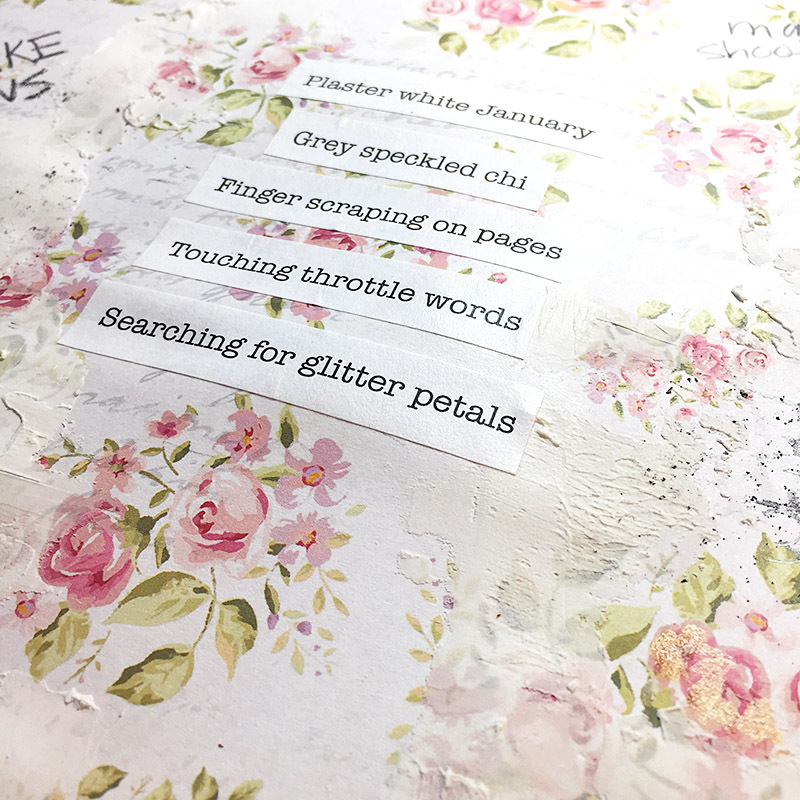 I like to decorate the cover or inside of the cover, add my name and date, and think about what kinds of things I envision in this art journal. I like to start with my Word for the Year and then add other words or phrases that speak to me. 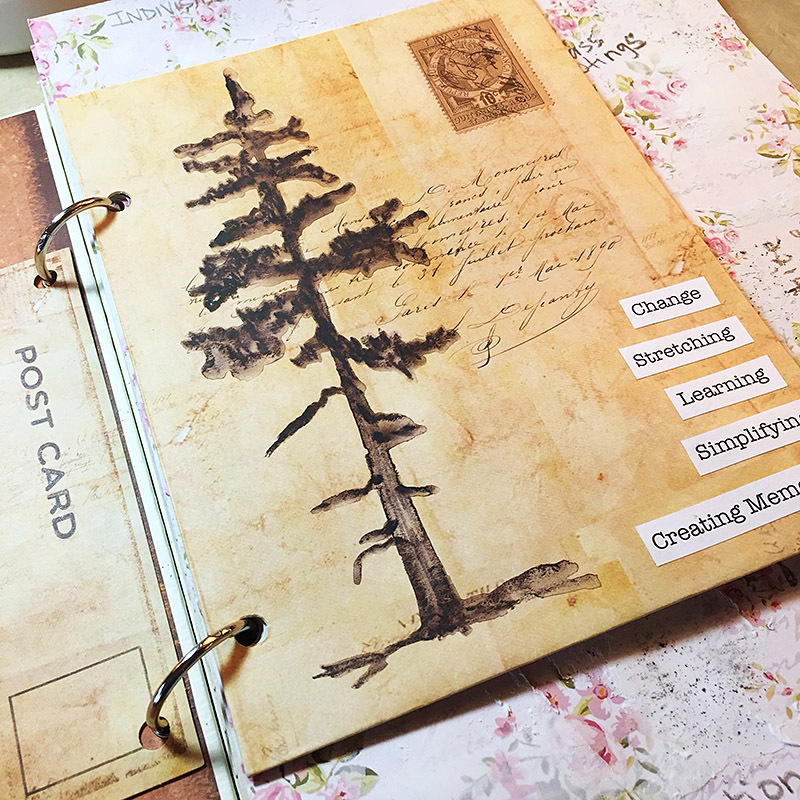 When I flipped over the postcard, there was a blank area on the patterned paper, so I sketched a tree with a brown watercolor pencil. Do whatever feels right to you at the time. Find objects or symbols that bring you peace. It feels so good to purge in this way. Whether you are feeling joyful, angry, sad, or anything in between it’s so important to name your feelings and write them down. I honestly don’t love my handwriting, but I don’t care when I’m art journaling. The point is to play and purge, so just go for it. Any strong emotions that come up, write them down. 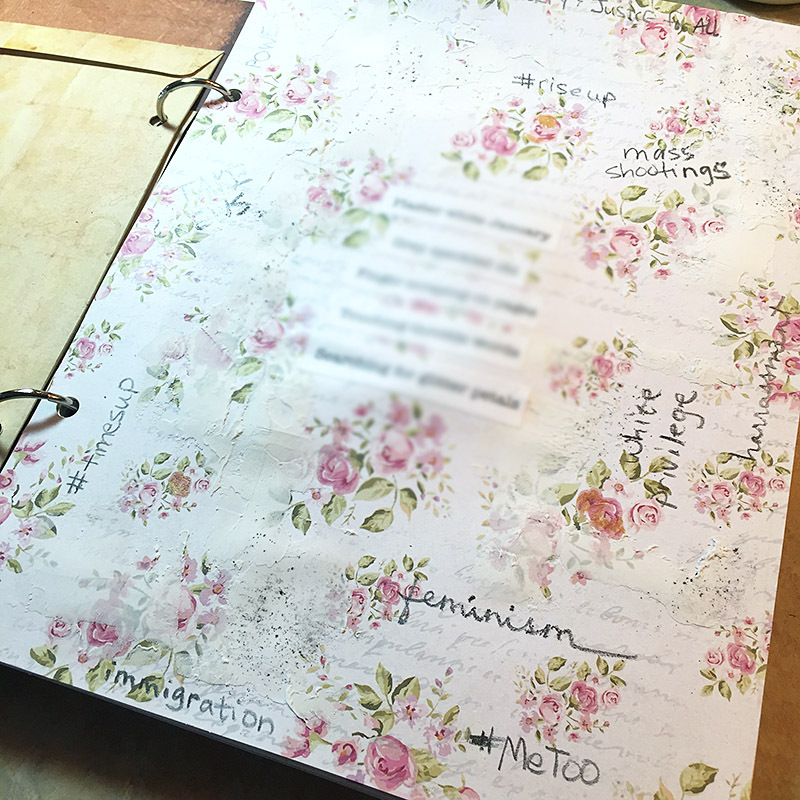 When I made this page, I was thinking of all the stories in the news and all the conversations we’d been having with our teenagers. One of my favorite creative books is Poemcrazy by Susan Goldsmith Wooldridge. 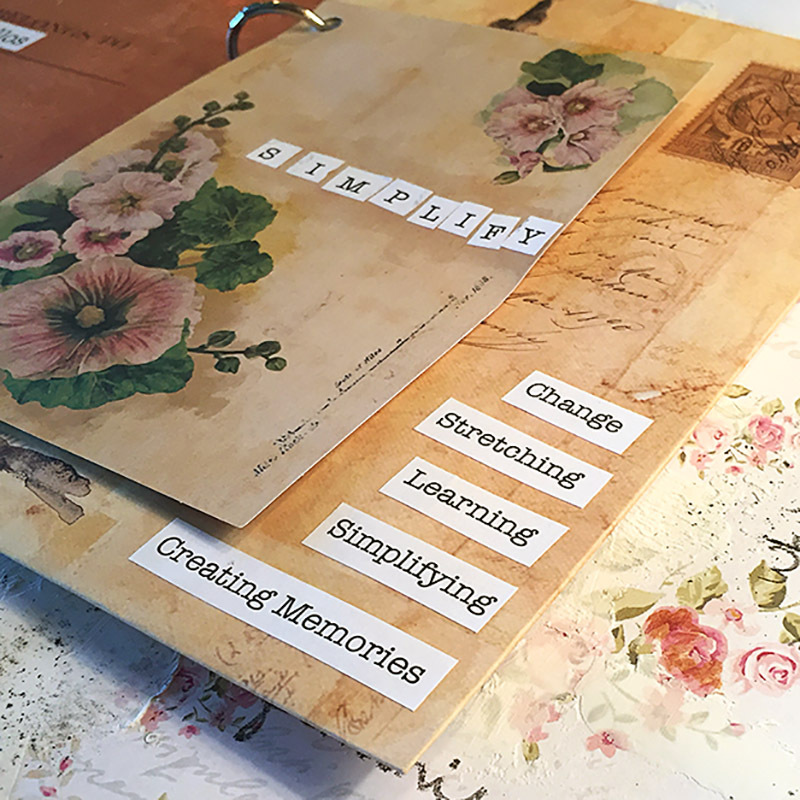 In chapter 3, she explains how to collect words and create a wordpool. 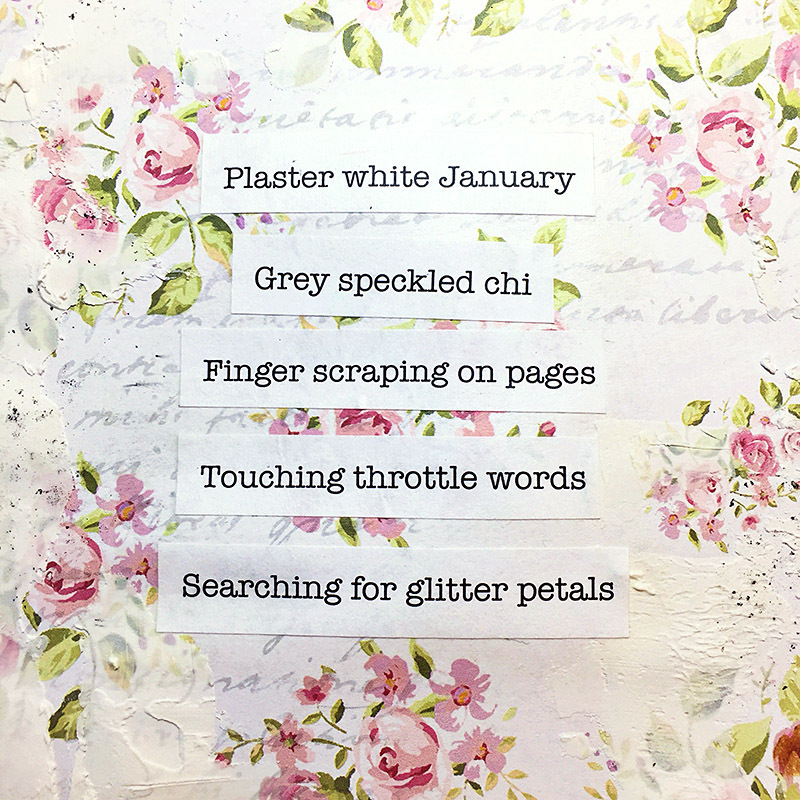 Start a list of words to collect. Borrow words from songs, poems, books, and conversations. Look up names of flowers or trees in a field guide, try foreign words, and the names of places. Susan tells us to put these words together in unexpected ways, like zodiac flicker, tree thought, tumbleweed sadness, magenta jealousy. Make up some words quickly. Be sloppy and don’t think too much. Give some words a color, sound, or fun adjective. I used Susan’s method of creating a wordpool, while still keeping in mind the strong words I had hand-written. For me, it was a way of putting the energy behind my thoughts into something that felt intense and therapeutic, but wasn’t offensive or hateful (there can be a place for that, but that wasn’t my goal). There was music playing. I was relaxed and open to the flow of creativity. The words trickled in and flowed together. Strong feelings are part of moving through change and they can be healthy and productive. When these emotions are held in and not sorted through, they can start to affect us physically. 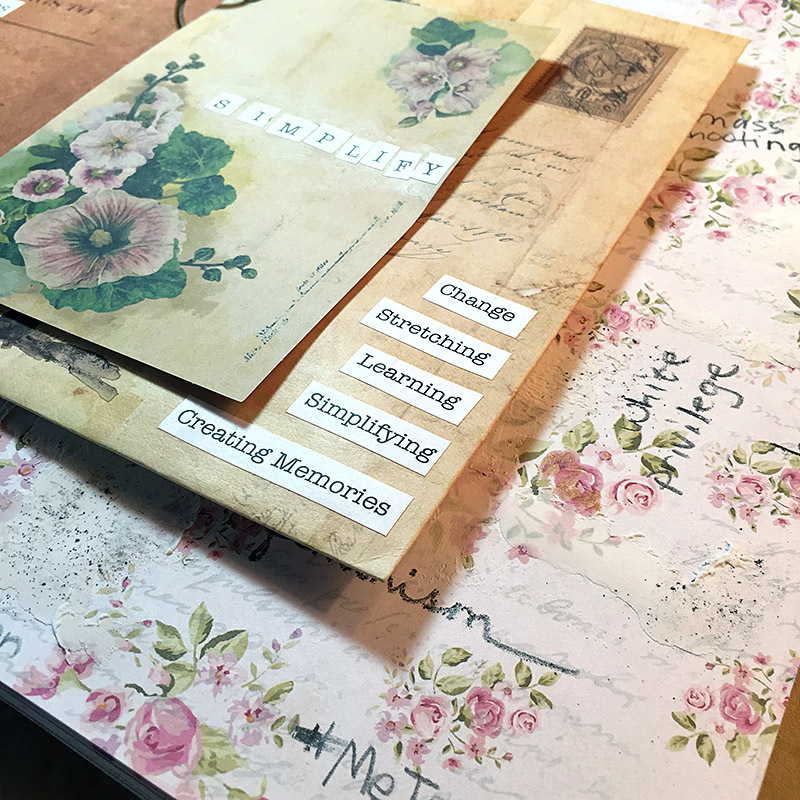 Creative purging in an art journal can help move our minds in fantastic and powerful ways. Here’s to trying a new way to release tensions and let go.